The Barbell Bench Press is the basic chest workout machine in every gym. Usually, if not all the time, this is the starting exercise on the chest workout schedule. 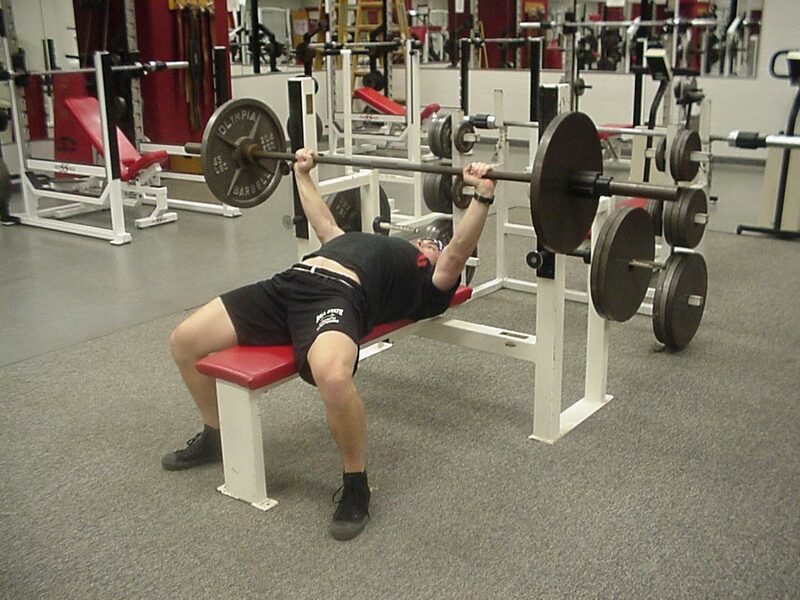 Create TOTAL concentration for the bench press, because it asks full strength. 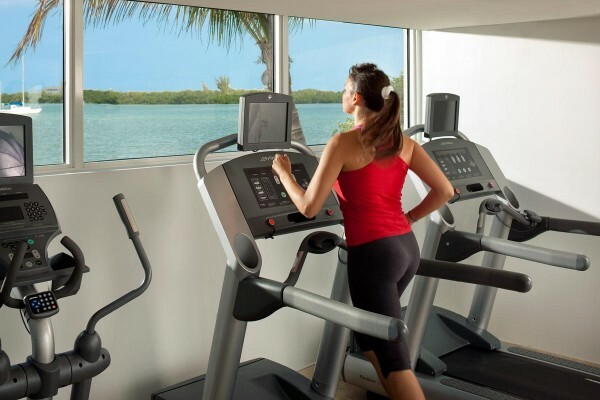 Triceps and Shoulders also play their part in here. 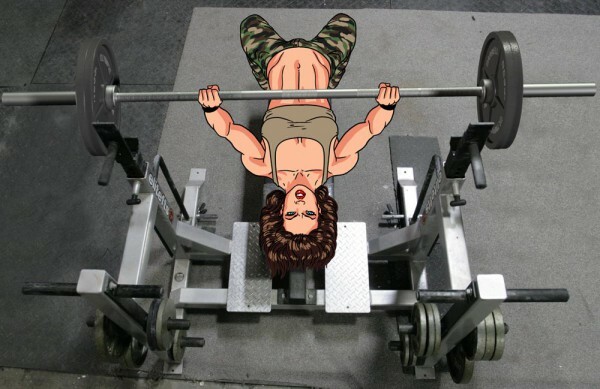 Before you start exercising the Barbell Bench Press, make sure that the barbell is on the proper rack (assuming there are several levels of racks on the bench press). This is important when taking the barbell off the rack; if it’s too low, lifting it up will be hard; it is the same situation when the barbell is on a rack level too high for your arms to reach. – Lie on the bench with a flat back. Adjust your body position so that the head should be under the barbell. – Grab the barbell a little wider from shoulder with a full palm grip (thumbs next to the forefinger, not around the barbell). A proper barbell grip is when you lower it down the elbows make a 90 degree angle. – With FULL concentration, take the barbell off the rack and hold it high with straight arms. – Lower the barbell to your chest, but do not touch them; then push back up and start another repetition. – Make 3 sets with 12, 10 and 8 repetitions. Beginners should start with 30 kg and work their way up. Experience athletes should start with half their weight. Since this is a strong exercise, increase after each set with 5 kg (11lb) on each side; that’s 10 kg (22lb) per set. Pay special attention to your inhale-exhale rhythm; Inhale when lowering the barbell and exhale when lifting it up.